From the cattle rancher on the open range to the industrial man of the asphalt jungle to the jerky-jawing trail hog of the north woods, the Aries 3 inch bull bar is made for those who face the uncertain road without fear. This particular model is constructed from strong carbon steel and finished in a durable semi-gloss black powder coat finish to outlast rust and the elements. Other available finishes include high-gloss black stainless steel, polished stainless steel and textured black steel. 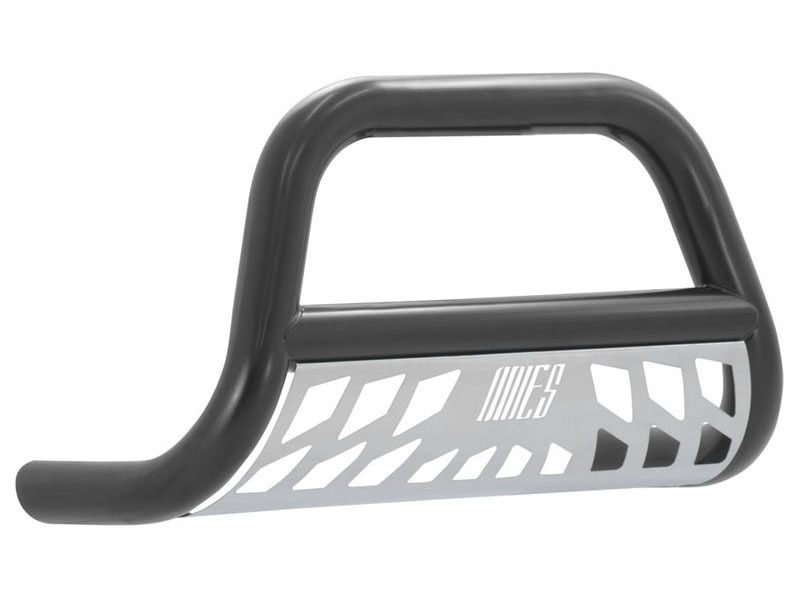 Customizing the look of your vehicle is simple with the Aries 3 inch bull bar. It is equipped with pre-drilled light mounting holes and a removable skid plate. The center crossbar features two pre-drilled holes that readily accept an LED light bar or two LED work lights. 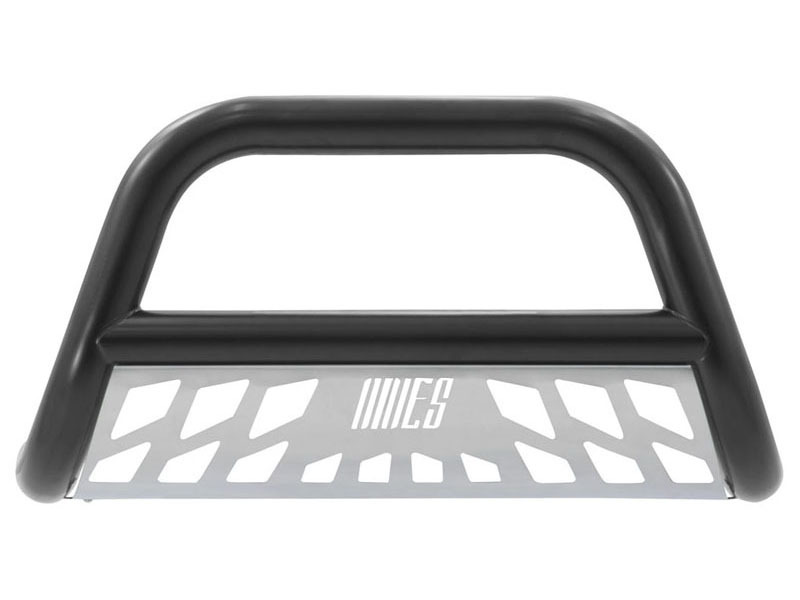 The skid plate is made from 304 stainless steel and has a brushed finish to stop rust and hide scratches and scuffs. It also features an aggressive, Aries-exclusive cutout pattern and can be removed for a customized look. 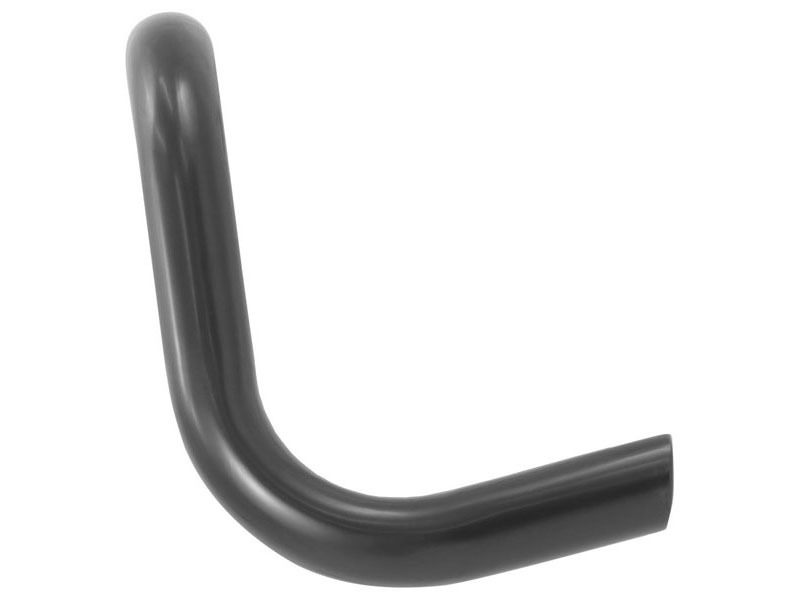 Each Aries 3 inch bull bar is made a vehicle-specific design, meaning that for each make and model, the bull bar has a custom bend and unique mounting brackets. This allows for the best possible fit on your vehicle and ensures solid attachment. The brackets also use pre-existing factory holes in the vehicle's frame to eliminate drilling, speed up installation and increase rigidity. 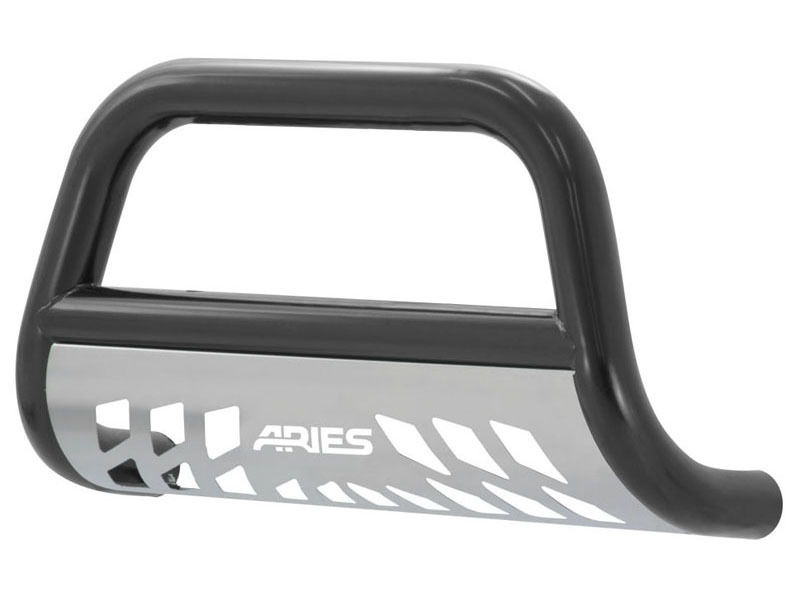 For a different breed of bull bar, Aries has what you're looking for.